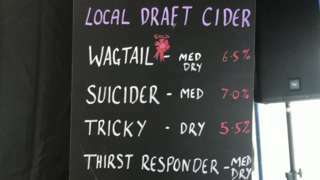 A volunteer says the drink Suicider is inappropriately named, prompting action from its brewer. 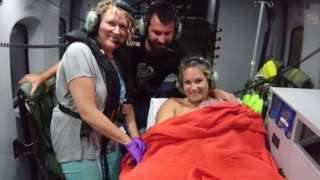 A coastguard helicopter became a makeshift maternity unit when Torran was born 1,400ft over Penzance. Staying cloudy on Monday night, with further hill and coastal mist, and some patchy drizzly, this mainly affecting hills again. Light winds. Another cloudy, murky start on Tuesday, but, through the morning, the cloud will lift. Thereafter, a relatively bright afternoon is anticipated with sunny spells and perhaps the odd shower. Feeling humid. Maximum temperature: 20 to 23C (68 to 73F). The family and friends of a Bristol teenager who died of meningitis last year have completed a charity bike ride from London to Paris in his memory. They took on the challenge, for George Zographou, to raise money for the UK trials of the Meningitis B vaccine - and have raised nearly £12,000 for the Meningitis Research Foundation. The 18-year-old died after falling ill at Newquay's Boardmasters Festival in August 2017. A 78-year-old woman has been left injured after a hit and run in Plymouth. Police were called to Southway Drive at 14:20 on Monday. 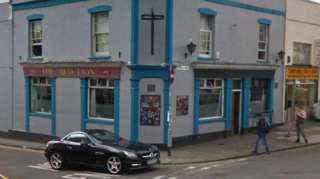 The woman sustained an ankle injury and was treated at the scene before being taken by paramedics to Derriford Hospital. A spokesman for Devon and Cornwall Police said: "A 78-year-old woman was reported to have been hit by a vehicle which subsequently left the scene. "Enquiries are ongoing to locate the vehicle." Staff at the air ambulance said they were "excited to see the progress of the H145 [helicopter] as it draws closer to being delivered". 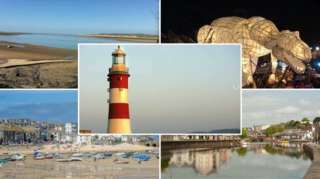 Devon and Dorset have been voted the joint most popular English counties. In a YouGov survey, 92% of people said they liked the two counties, with Cornwall coming in third with 91%. Bedfordshire was the least liked county at 40% in the survey, which asked more than 42,000 people. In a separate YouGov survey released on Monday, Truro was ranked as Britain’s seventh most popular city, with Exeter 15th and Plymouth 29th out of 57. York took first place as Bradford was voted Britain’s least popular city. Disrespecting a council tenant receiving emergency medical care, bullying and using foul and abusive language were among complaints leveled against East Devon councillors last year. East Devon District Council's Standards Committee heard three councillors resigned following the complaints, while three others were made to apologise for their actions. In the majority of cases however, council investigations found that councillors had not breached the code of conduct and no further action was taken. In total, there were 36 complaints against councillors, 22 of which related to breaching the code of conduct. Five complaints related to district councillors, with 17 related to local town and parish councillors - although nine of the complaints were made by one individual against one town council. No names of individuals or the authorities they represent were revealed. A38 Devon southbound severe accident, before B3344. A38 Devon - A38 in Chudleigh blocked and queuing traffic southbound before Harcombe Cross, because of an accident involving two vehicles. Expansion plans for Cranbrook are set to be revealed by the end of the year, revealing proposals to increase the number of households to nearly 8,000 over the next 15 years. The first houses in the new town were built in 2012 and there are currently 1,700 households living there. Alongside the residential part of the development, further details are expected for the town centre, to be built on land next to the Cranberry Farm pub. The proposals include 13 retail units, a town hall with a library and auditorium, a health and well-being centre and a leisure centre. The Local Plan anticipates Cranbrook will have 7,850 new homes by 2031, equating to a population of about 20,000 people. A group of travellers is currently occupying space at Exeter Science Park. A witness said they have seen five caravans on the site, along with a small pony and dogs. A spokesman for Devon County Council, which owns the land, said: "We're aware of this encampment and will be visiting the group to establish their intentions." When travellers pitch on land that they do not own without the owner’s permission, it is classed as trespassing. 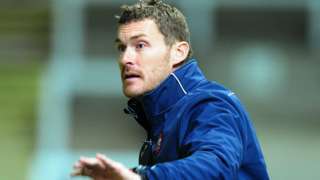 Exeter City manager Matt Taylor hopes his side's 1-1 draw with Newport County acts as a 'reality check' for some of the club's supporters. Proposals for a new student village on the University of Exeter's Streatham Campus, that will mean all first-year students will get on-site accommodation, have been revealed. Last April, Exeter City Council planners voted six to three to approve the outline details of the East Park plans. Now the University of Exeter has submitted its reserved matters application for the details of the development. There will be 11 tower blocks, ranging from three to eight storeys high, which will include a total of 1,182 bedrooms. Development will take place in two phases with the hope of completion by September 2021. 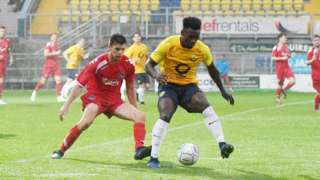 Truro City caretaker boss Ben Harding praises his side's attitude as they get used to low home crowds at Torquay. Tom Cox lost "a year's worth of thoughts" towards his next book after his bag was stolen at a pub. A group of travellers has arrived on land owned by Devon County Council at the Exeter Science Park. Five caravans have been at the site, on the outskirts of the city, since Friday afternoon. Eyewitnesses said that they also saw a small pony and dogs. A spokesman for Devon County Council said: "We're aware of this encampment and will be visiting the group to establish their intentions." It is understood that this is a different group of travellers to the ones who pitched up at Station Road Playing Fields in Pinhoe at the start of August.